When I look back at when I started this blog I see a lot of mistakes I made. …one thing I did right is that I focused as much on outbound marketing as inbound. 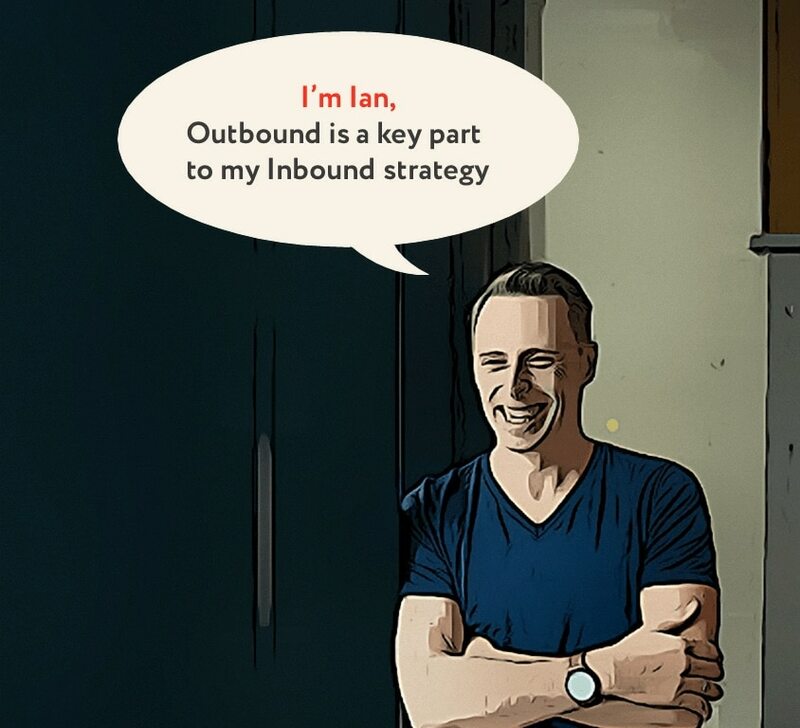 In this article I’m going to explain why you shouldn’t be an inbound marketer and why you shouldn’t be an outbound marketer. You need to be both!! Inbound marketing is when you attract an audience to you. For example, you create great content on your website and you end up getting visitors from social media, Google etc. When they see the value of the content they buy your products or services or maybe sign up to an email list. With outbound marketing instead of waiting you reach out. You identify a group of relevant websites/contacts and reach out to them to promote your product, service, content etc. Mark Schaefer wrote a very interesting article about inbound marketing. His article was about ‘Can you afford to do Inbound Marketing’. A nice controversial one! He outlined how Hubspot’s (inbound marketing solution) customer acquisition costs are increasing and questioned the value of all the traffic they generate through their site. One of Hubspots channels for driving leads is their traffic as a result of their blog. But their content is not just appealing to their target audience and that’s why they get so much traffic. Is inbound marketing all about driving leads or building trust and authority? You can certainly get leads from your inbound marketing but it’s not always the most effective solution. And that’s from someone that sees a lot of value in inbound marketing. 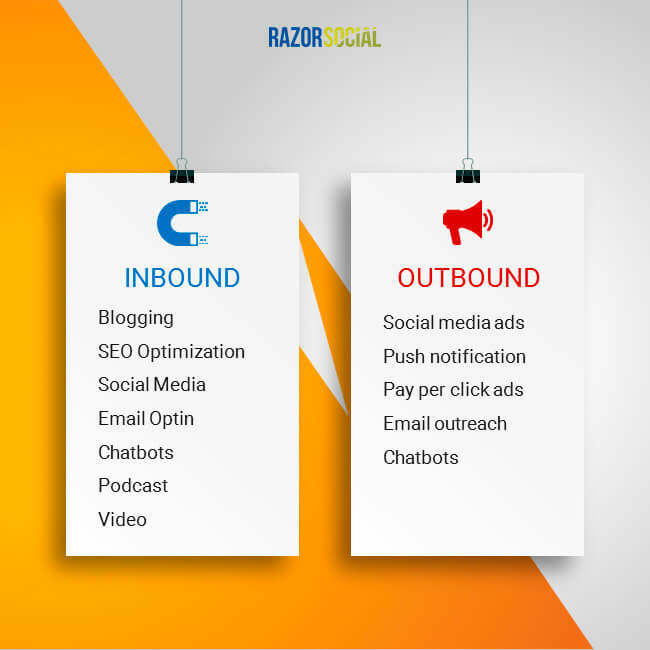 Why you need both Inbound and Outbound Marketing! 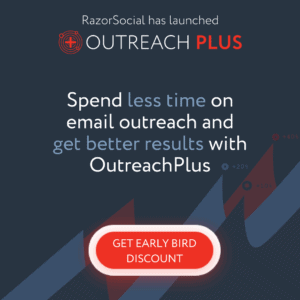 I recently started building an email marketing outreach tool because I seen a gap for more products that could help people do email marketing outreach. 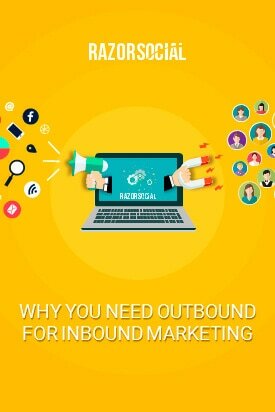 There is huge potential to build your business using a combination of inbound and outbound marketing. So I built this because I think inbound and outbound marketing is required for businesses. 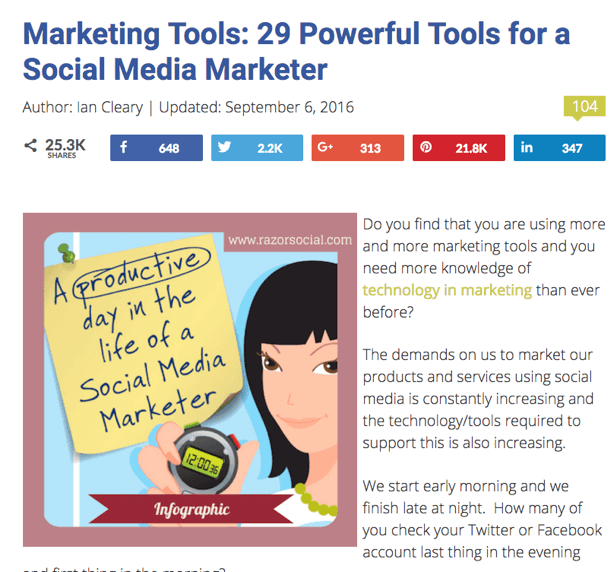 When I started the blog I wanted to become an influencer in social media. I created a blog and started attracting some traffic. But just relying on good content and, at the time, a relatively small social presence was not going to be quick enough for me. I created a list of the top 100 social media influencers in the world. They were the people that were probably not going to find me on social media or Google but were extremely important for growing my influence. c). Sharing their articles and mentioning their name when sharing them. What’s funny is that a lot of these influencers are now really good friends. I guess I was lucky that so many of these people were my kind of people! I started reaching out to various high authority websites to guest post on their sites. I needed to build awareness of who I was and the skills I had and a quick route to this was guest posting on influential websites. I must have written at least 100 guest posts over the space of a couple of years. As well as becoming more known I also generated a lot of valuable links. Infographics – I created infographics and reached out to promote this to a relevant audience. Here’s an example of a post that got over 200 links and 25,000 shares. A few years ago there was less content marketing and much easier to get organic reach on social media. We’re in an extremely competitive environment where inbound is becoming harder. That doesn’t mean that you give up inbound, you just need to be smarter about the tactics you use. And you need to do inbound and outbound marketing! !